Read through my book you will see that its images are made to reflect the book’s narrative, descriptions and cultural context. In this post, I am sharing with you my top 5 tips for cookbook food photography. 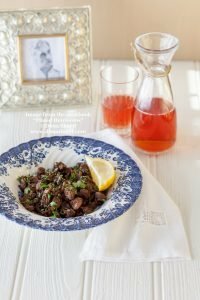 I hope to inspire you where book food photography is concerned, and what better way to that than with a real life example? 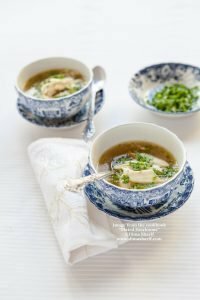 So I want to round up for you my cookbook food photography experience. 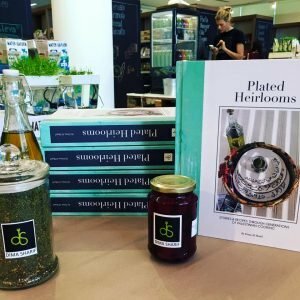 I will also explore with you my top 5 tips for cookbook food photography along with my thoughts and vision for the photography of my book Plated Heirlooms. I am also sharing with you a video description of the photography process and rationale by the food photographer of most of the book’s food images. Please note that Plated Heirlooms is a self published book and so most of the information below applies fully to self-publishing, however, you can consider them in your negotiations with your publisher, should you wish to go the traditional publishing route. 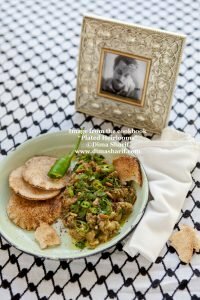 The pictures in the gallery above are some of the food images from my book “Plated Heirlooms”, a book about Palestinian cuisine; precisely the recipes and stories of Palestinian Cuisine. 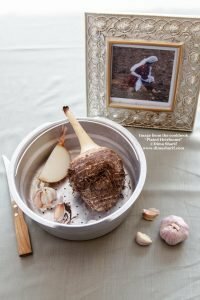 The picture above to the right, is also from Plated Heirlooms for the recipe “Yakhnet Qulqas” which translates to Stew of colocasia (p. 265, chapter 4, Soups & Stews). This image focuses on the land, from tending the land, to the cultural aspect of the working women of the time and the cultural dress code, to even the produce coming out of the land reflecting the terroir and the major ingredients of the stew. All of which are detailed stories and concepts in the narrative, that are focused and highlighted in the imagery. Read on, I think you will love this…. No one knows your book, your message and your vision better than you do. So you have to create your own photography concept, even if you are not technically carrying out the actual photography yourself, you still want to curate it. Once your concept is clear, all else easily falls in place. You will hire the right photographer and stylist to carry out your concept. You will hire/buy the right props to highlight your concept. Even the choice of recipes to photograph will become easy, and the food and shot styling becomes clearer and easier for you to have a say in. If your concept is not clear, you will simply leave it up to chance to have the images reflect your words or not. You will also be leaving it up to chance whether the images are coherent with the overall concept or not. A book is a complete work, the communication is in every single detail. Understanding this, sets your book apart from the rest. So when I was planning the photography of my book, I knew I had a very clear idea of what the images should look like. I knew exactly what I wanted to communicate, hence to include/ exclude in the images. I had a full concept in mind, including the details. For instance, I was writing a book about a specific and whole cuisine, the Palestinian cuisine. Understanding that cuisine is the most substantial reflection of culture I knew that I had to include cultural references. Also knowing that my book includes a lot of cultural stories, I knew the images must include cultural items and references too. As such, I went on a hunt for the cultural pieces and props I wanted to use in the photography. For instance, the image to the right, uses the Palestinian Hatta/Keffieh which is the Palestinian black and white scarf that is a huge part of the Palestinian culture (its meaning and significance fully explained in my book). Also the same image includes a frame in which you see the picture of the famous Palestinian writer Ghassan Kanafani. Since the book included many quotes of Palestinian poetry and literature, I also wanted to reflect that in the images. 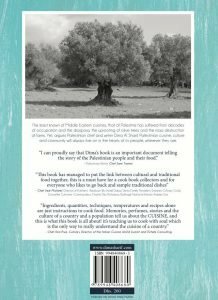 Therefore, so many Palestinian writers and poets, as well as famous literary books and works made it to the food images of my book. In a way, I was inviting these Palestinian writers and poets to dine with me and chat with me about Falasteen and Palestinian cuisine. By citing them in the narrative and tying all the Palestinian things that make up the Palestinian cuisine, I am conversing with them over the foods of their native areas in Falasteen, learning from them and having a dialogue through them about their area’s foods and cultural view of what those areas prepared and had as food. I also wanted to be creative, and while we can all buy various props to use, I wanted to create some unique props especially for the purpose of the book’s photography. For instance, the calligraphy plates citing Palestinian poetry lines, as in the picture to the right. I had these made especially for the book. These plates were made in 2013, at that time not many plates included calligraphy and the very few that did, only had random letters, never full verses, so I felt it was a creative and very unique touch. by Mahmoud Darweesh about his conversation with Edward Said. That was the concept behind my book’s photography. I wanted the images to look, feel and be purely Palestinian. I wanted the images to be cultural, to show food in its cultural context and also to reflect the different areas the dishes belong to. I also wanted the images to be simple, something that the reader feels they can recreate at home, as such you will see throughout the book that I have not opted for any fancy or over the top items or presentation. 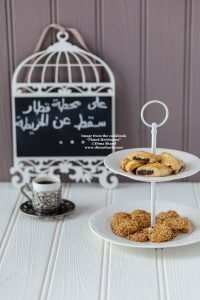 I wanted to reflect the traditional Palestinian cooking, the different styles in different Palestinian homes as well as reflect the different lifestyles in Falasteen and its various areas. You will therefore find that some images are more refined than others, however, all replicable at home. This was what I had kept in mind as I was plating the dishes ready for the photography and deciding the different sets and styles with Meeta. All of it was real food, no tricks, no fake foods or food make up… nothing of the sort. Consider all the details and think of creative ways to showcase them. Get the right props and create some unique ones. Curate and carry out the concept in the choice of recipes, plating, styling and final image concept. Be involved, it’s your book, not the photographer’s, not the editor’s, not even the publisher’s. Be consistent in all the images. Apply your concept and keep your eye on the goal. I had the concept and the details all sorted and ready for execution, I knew however that I was not a professional food photographer; photography is a loved hobby of mine, but I wanted to make sure the images were technically right for printing. So I hired a photographer to do the job. You really want to make sure you hire the right photographer. In my case, and hopefully yours, since I knew exactly what I needed to be photographed and the concept I had in mind, I had to make sure to hire the right person to carry it out for me. Someone who can technically produce the printable image for me, who can get the focus, lighting, and frames right (the technical aspect). Also helps that the photographer can also style the images to highlight the desired communication, which in my case Meeta is also a food stylist. With that said, styling is no big deal, as you can also hire a stylist, if your photographer does not do styling and of course if your budget allows, or you can style yourself if you are familiar with food styling. It is worth mentioning here that this is a bit of a tricky part, simply because creatives including artists, photographers, stylists and designers hardly ever like to work in conditions where they are not totally in control of all aspects of the creative process. Fairly, these people are creatives themselves and normally want to carry out the concept they see most fit and reflects their own style. It is therefore, very important that you communicate the specifics of your requirement with them from the first communication you have. As such, and since I had a very specific concept, and was going to be very involved in the creation of the images, as well as involved in the styling (was going to remove or add items in the image, even when it did not resonate with the photographers’ style), I had to be clear about that from the beginning and make a deal based on these facts, which is what I did. The last thing you want is a photographer thinking they were the creative behind a concept only to find you in their business, this will definitely lead to misunderstandings and also will potentially halt the process. This clear communication by the way did not apply to only the photography, but it also applied to the overall design of the book, the chapters and the whole content. You too, will have to do that to ensure that all is done according to your vision. Luckily, I did not have an issue with this, as Meeta and I worked together on a few projects and were familiar with one another’s styles and requirements. I was very clear with her on the requirement and my involvement from the beginning. I had clearly communicated that it was work-for-hire, which basically means I was buying from her very specific images, uniquely created solely for the purpose of my book as opposed to buying license to use images she had already created and owns. I had thoroughly explained to her that these images will reflected a very specific topic and that I was going to be very involved and hands on with the whole process. She agreed and so it was. Watch the video above and listen to Meeta tell you more about the photography of Plated Heirlooms. If you are not a photographer, hire a professional one. The photographer must be able to produce printable images that are technically right. It helps if the photographer is also a stylist, or you can hire a stylist or do this part yourself. Make sure that you are very clear in your communication with all your project’s service providers including the photographer/s and stylist/s. Clear communication must cover: job requirements, your involvement, buying unique images created for your projects vs buying usage rights of images already created by the service provider or a mix of both, ownership and copyright, number of required images, any requirements the service provider has (studio, props, lights…etc) and who provides them… basically all the details of the project need to be discussed and agreed. Expenses (all expenses, including unanticipated/hidden ones), price of finished image, budget restraints and service fees. While we are talking about photography here and so using the photographer as the service provider example, this point is most crucial and applies to all your service providers. You cannot underestimate this part, and it is especially true for self publishers. You will be dealing with many service providers (photographer/s, editor/s, designer/s, printer/s, distributor/s…etc). Each and every service and provider must be written in a detailed contract and signed to protect both your rights and theirs. What is communicated orally, can very often be misunderstood and while it should be binding, we all know there are unethical conducts out there and service providers who will take advantage of your resources, time, concepts and even finished work that you have worked very hard on. As you have seen so far the process is complex and entails many considerations and creative work, so you are really investing your resources, time and creative concepts. Therefore, be very precise and get a good lawyer to draft a detailed contract for you and make sure it is signed before you carry out any part of the job. It is worth mentioning here that there is a difference between obtaining a license to use photographs that the photographer had created themselves prior to your project and not for the purpose of your project. And work-for-hire, where you actually hire a photographer specifically for your project to produce unique images for your content, and solely for the purpose of your book, where you pay them compensation for that service. In the former, you are simply buying a license to use the photographer’s image, which the photographer owns and owns the rights to. In the latter you are buying an image and hiring the photographer to create it for you and so you own the image and its rights. This is the most misunderstood part in the photography/ creative services industry, and unless you have a clear contract, you risk the photographer/service provider misunderstanding or their unethical use of the images. A good example of the above are the two images to the right in this section. These are the only two images I have used in the book that were Meeta’s images, because they were her images that she had produced prior to and not in relation to my book’s project. As such she had allowed me to use them but she own those two images and are her copyright. 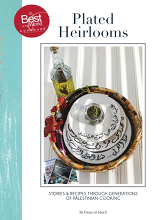 However, all the rest of the Plated Heirlooms images shot by her were created specifically under our agreement for the book and do not follow the same categorisation. Your contracts have to specifically outline the project, the engagement, the roles, the compensation, the ownership and copyright of each service rendered / every work-for-hire. These contracts have to be signed by all those involved in its specifics and each signee must have a signed copy. You will keep this contract, all the receipts and a disk containing all the images for any future reference. This is also important to have should you desire to register your work (book) in most copyright offices, libraries and resource libraries. Write and sign a contract that details the project, roles, scope of work, deliverables, ownership and copyright. Don’t underestimate this part, you will be surprised what comes up if you don’t. This ensures your right and also the rights of the service providers are safe, which is best for everyone. Consider whether or not you wish to go for a “license to use”, “work for hire” or a mix of both and have that clearly stated in your contract. Keep all paperwork (contracts, receipts, written communications) filed for future reference and for final copyright registrations. Do not rely on oral communications ever, they are easily misunderstood and easily ignored when foul play becomes an intention. Your contracts have to be drafted by a good lawyer, you never know if the need arises to use them and when it does you will want them to be solid contracts. So you have agreed on all the details, and have signed the contract and it is time to put it all into action. Make sure to understand the requirement of the shoot before scheduling the time. This is very important to consider, remember shooting 4-5 recipes is one thing and shooting 120 recipes for a book is completely another! What you are able to produce and shoot in any 1 day depends heavily on the type of food, complex prep, styling… and every single part is time consuming. So before you commit to 100 recipes in 4 days, make sure you understand the cooking time, plating, styling, help available, and also consider what you will do with all that food! space of food storage facility (fridge/freezer/pantry). No one part is more important than the other. These are all to be taken into account. So if it helps, you can divide the shoot into sections as you go on writing. You can even shoot chunks of each section as you go. I admit this was one of the aspects of the book’s photography that was very poorly planned on my behalf. Well, initially Meeta had to fly to Dubai for the shoot. We were having our annual food styling workshop and thought to bundle the two together. However, she could only stay in Dubai for so long. We did and in the end made it work, but it was a very tight and super ambitious plan. I was not familiar with the requirement of shooting all these recipes (100 in 4 days to be exact), and as such thought it was a reasonable time frame!! Of course I was thinking in terms of cooking, give or take the photography part. Too ambitious!! Don’t do it! Make sure you do not schedule more than 5 recipes a day. Now with experience (not just from the book, but with the many other shoots I have carried out since then) any more than 5 you are really pushing your time, hired help’s time and even the studio time if you are hiring one. Once the total amount of days is scheduled, you have to plan each shoot and make sure to do that way before the shoot time. Schedule which recipes on which days, plan the grocery shopping, the cooking time, the plating time and create a list of props and items that you need at hand in the shoot for the styling. Book the help, and of course the studio and have everything planned and ready. Being organised is key, as if you are not, you risk running out of time and missing recipes or other important parts of the shoot. The worst case scenario being rushing through the shoot and dropping things off the list. Meeta and I had initially planned a total of 150 images of which we managed to get only 120. Being our first experience, it was a learning curve and we were bound to err here and there. I think I did very well considering all that I did not know at the time. Also the fact that we shot everything at home helped because I would have run into a lot of unanticipated issues had I actually rented a studio. It is worth mentioning here that you have to keep your eye on your concept and objective all the time. Meeta had no idea what my book was about, except that it was about traditional Palestinian cuisine. Mind you she never read the book or any of its content until 3 months after it was published, when I sent her her copy! I had briefly explained to her what I was after and in general terms, but did not want to share any of the book’s exact content with anyone until it was out. As such, and especially that she is not Palestinian, she could not possibly understand why I wanted to include frames of people in a food image. Definitely not what she would do as a food photographer. Also she felt that many of the items I wanted to include were unnecessary and cluttering the images, such as the traditional or cultural artifacts and even specific condiments and at times even the calligraphied plates were a bit much for focus and light issues…etc. Rightly to her, she has a specific photography style and left up to her she would not include these items. However, to me they were most crucial and my unique way of tying the images and narrative to create the overall flow and concept of the book. So while she would argue to remove those and why she thought they were cluttering the images, I would insist that they remain and would make sure to place them in the images. This is because I had the concept and objective in mind and had planned the images and what they had to communicate in each section ahead of time, as such I knew what was necessary and what was actually not that important. so a pretty candle or a piece of fancy cutlery or so on did not have priority in the images, while the ‘may have appeared unnecessary’ items such as the frames and cultural artifacts had the priority to be included. This is very essential to keep in mind during the shoot. Book the studio and hired help way in advance. Gather the props, boards, and all shoot materials ahead of time and have them ready at location. Make sure the location is well equipped for the job, from lighting to storage, it all matters. 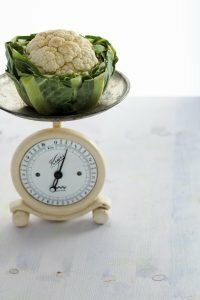 Figure out what you are going to do with all the food ahead of time (don’t waste food). During the shoot, keep your concept and objective in mind at all times and make sure they are met. Have a say and don’t be afraid to voice your wishes/concerns during the shoot. Remember, in the end this is your book and your concept. So all is finished and complete from your part, however, the photographer will have to deliver the post processed, ready to use images. Post processing includes any colour corrections, light touch ups, straightening, sizing, cropping… etc. if needed. These shot images will also have to be adjusted to the specific size of your publication. Your publisher/designer will give you the specific sizes for the images in your book and you will have to make sure the photographer is aware of these size requirements. Most cookbooks will use the portrait, long image format, however, some books will also include landscape images and different sizes. This will all have to be considered before the shoot, in order for the photographer to keep in mind during the shoot and while taking the images. It helps here if you have a good idea what you are after in terms of design, this is why the first step is very crucial, where you create your concept, and know what you are looking for in terms of deliverables. When it comes to the deliverables, you will want your images delivered to you in one file by your hired service provider. Nowadays we send and receive everything online, which is fine. In this case however, and most crucial in the case of work-for-hire you will ideally want to receive a disk containing all the images and a clear description of the images and project they are made for from your service provider. This is to ensure that the agreed upon images in the contract are created, categorised and documented. If you are to receive them online, you will also want to have the paperwork for them, so you will ask your service provider to create a list of the images (their titles), and a link to each one that will remain a point of reference. You will keep a copy of the delivered email including the list and links for any future reference requirement. Once delivered, you will want to run a print check, where you will print them at the printers to check for any necessary colour corrections. It is important to know that there are colour variations in printing methods (digital and offset), as well as some variations in colours with the different printing houses. This print test shows you if any further processing is required. Also should your photographer have to adjust anything in specific, now is the time to do so rather than a year down the line. A lot of the information sounds like common sense, but trust me, when it is your first book ever and first publishing experience, there is not enough information out there, at least there was not much when I took this up. So much of the common sense is foreign to you, and it is very easy to miss out on or overlook some details, which eventually complicate things for you. Knowing these things and making sure to have them covered is the only way to guarantee you get it right, in the most efficient and feasible way possible. I had to learn most of the above the hard way. As ever the self learning process is a trial and error one. 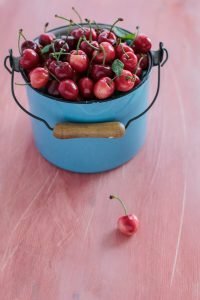 I share these tips with you to help you in your cookbook publishing process as I know I wished there were resources out there to explain the process to me when I was doing this for the first time. It is a massive undertaking and publishing my book has taught me so much. This is just the photography part and the tip of the publishing iceberg. But I do believe that I have included the most essential cookbook photography tips that you need to know. And I really hope these are helpful to you. If you still have questions or need any help in this regards, do please leave a comment and I will make sure to reply, again because I wish I had someone to ask at that time. 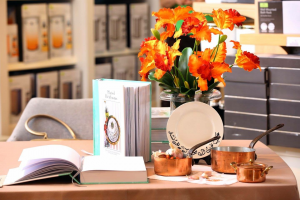 I wish you best of luck in your book publishing quest, and do check out my Plated Heirlooms, I believe it is a beautiful book, and know the amount of hard work, love and detailed work that went into it. I say so myself because only I know what went into its creation. This was not an ordinary book, whipped up in a few months! This is a book that took me three and a half years, in research and compiling. Every step of the way was thoroughly examined and so many details have gone into its making. Check it out below and grab a copy, I know you will love it. There is a repertoire of over 280 recipes in my book Plated Heirlooms. 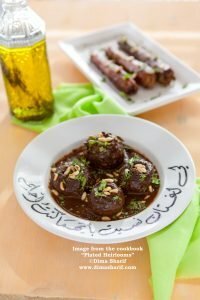 The book contains recipes from all areas and sections of the Palestinian cuisine, starting with Mooneh (pantry recipes) to dessert and everything in between. 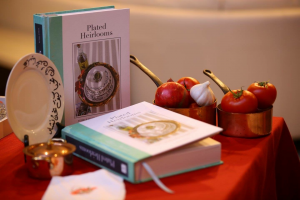 Plated Heirlooms is a documentation of recipes and cuisine rationale as well as the compiled story of the cuisine.